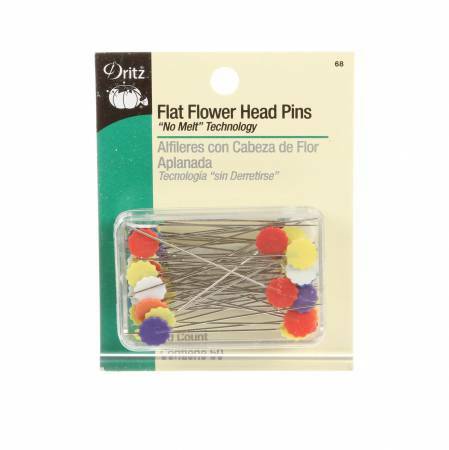 Flat Flower Head Pins "No Melt" technology. Can be ironedover without leaving a trace on your fabric. Great forholding together stacks of fabric. Large, flat headsmake using easier.